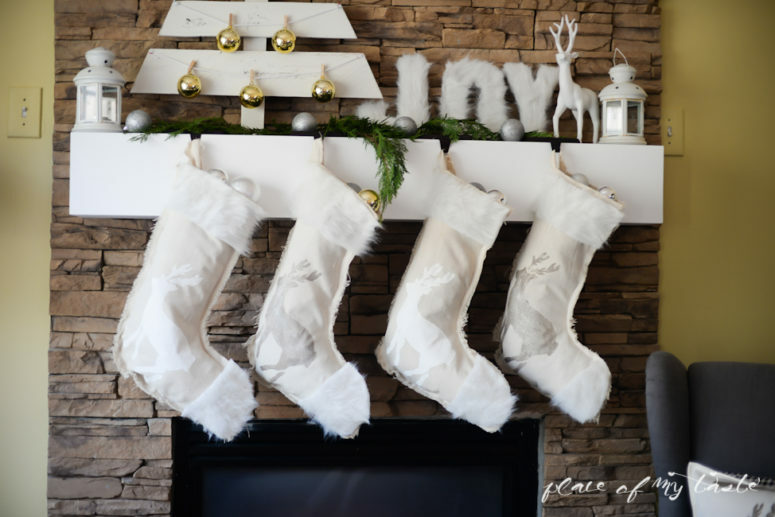 Stockings have always been symbolic for Christmas in many countries, this is a cute idea to decorate a mantel, a Christmas tree, a staircase or something else. 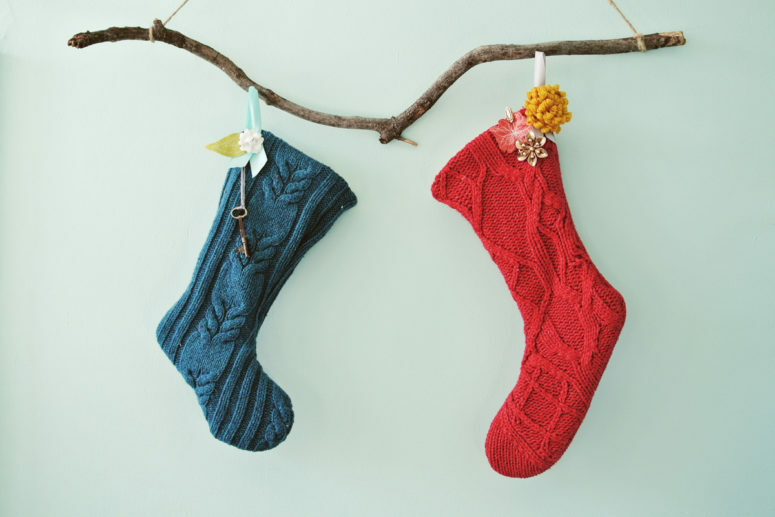 You can make stocking ornaments and whole garlands, rock them in different colors and shades and knit, crochet, sew or do nothing from this list – just upcycle something to make a cool stocking. Today’s roundup is dedicated to these cool items and lots of ideas to make them, let’s get started. This tutorial will tell you how to make some no sew Christmas stockings – what an awesome idea for those who don’t like sewing! Some drop cloth, faux fur and hot glue is all you need for making these ones, such a craft won’t take much time. 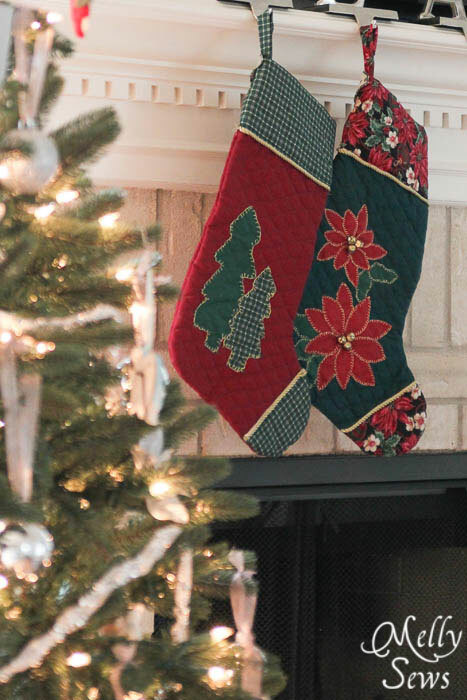 Upcycle some old sweaters to make these amazing patterned Christmas stockings! Such a craft won’t require much time or effort and you’ll recycle some unnecessary clothes. Rock all kinds of colors and patterns you like and decorate your mantel! These stockings are no sew ones because they are made of paper! 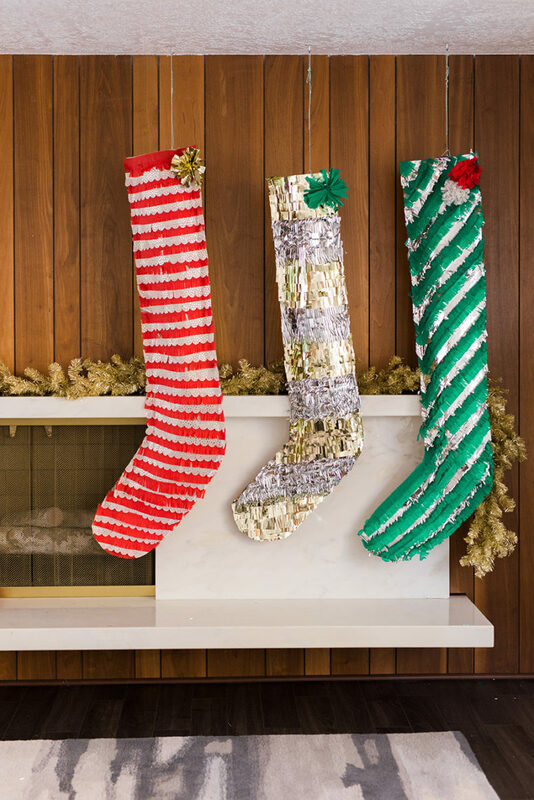 Heavyweight, crepe paper, tissue paper, and tinsel are all you need to create these fun colorful and shiny oversized stockings. Oversized decor is very popular today, and you can see more and more DIYs for such decor, so add an edgy feel to your decor with these stockings. Here’s another fast craft to realize: no sew stockings with plaid touches and faux fur. Keep in mind that you’ll need enough hot glue to make the stockings secure. 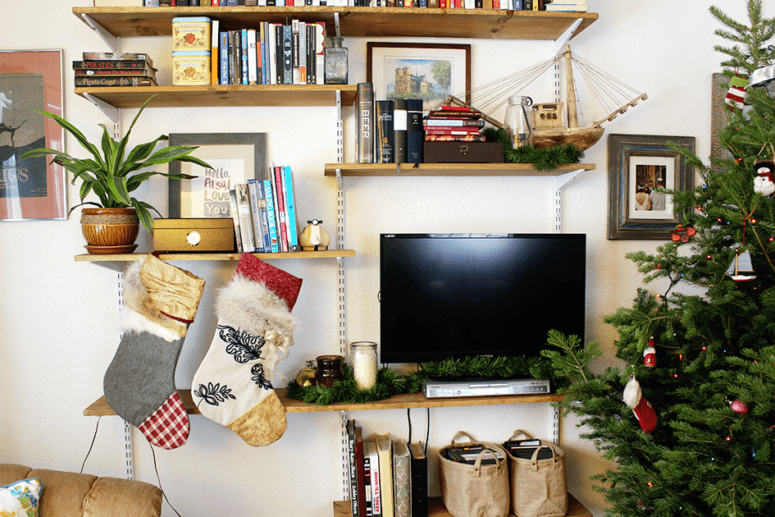 Add a white fluffy pompom garland to your mantel to match the stockings. 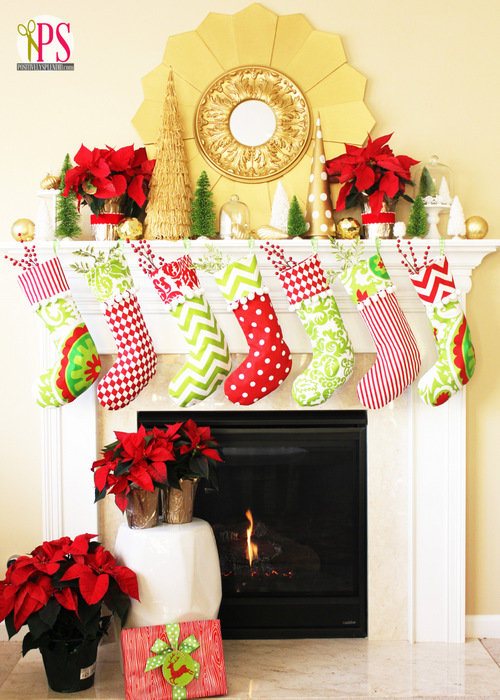 Buy some plain stockings and decorate them with bold colors and fabric without any sewing. These ones are done with black burlap, green ribbon and some embellishments. 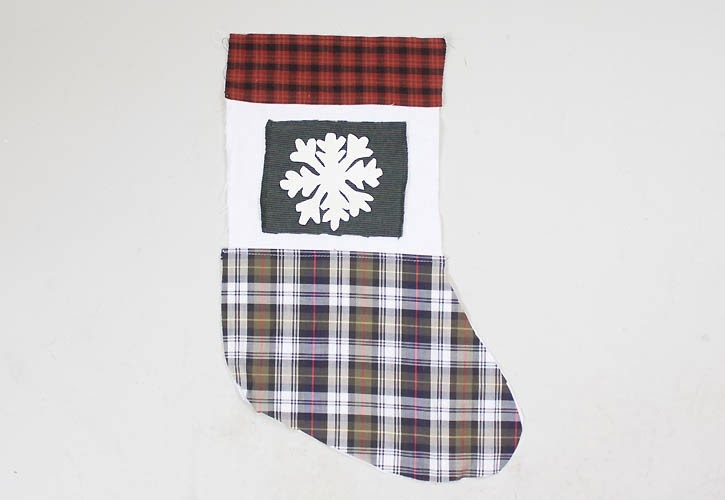 Personalize them as you like to make the stockings look like you want and hang them on the mantel. 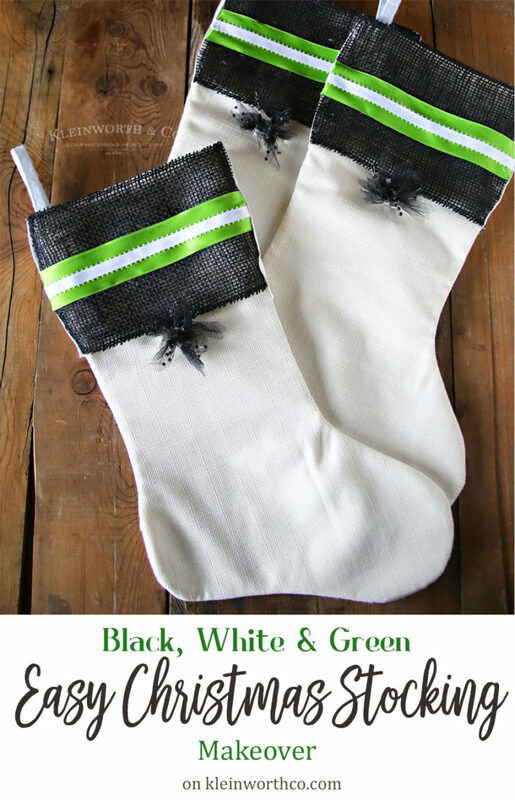 This tutorial will tell you how to make cool red, black and white Christmas stockings, and there are all kinds of prints we like: chevron, stripes, check, florals, polka dots and even pompoms that add a cute touch to them. make a whole pack of them and decorate your mantel in this traditional way. Velvet is the trend of the year, and you may use it for creating chic and cute stockings. 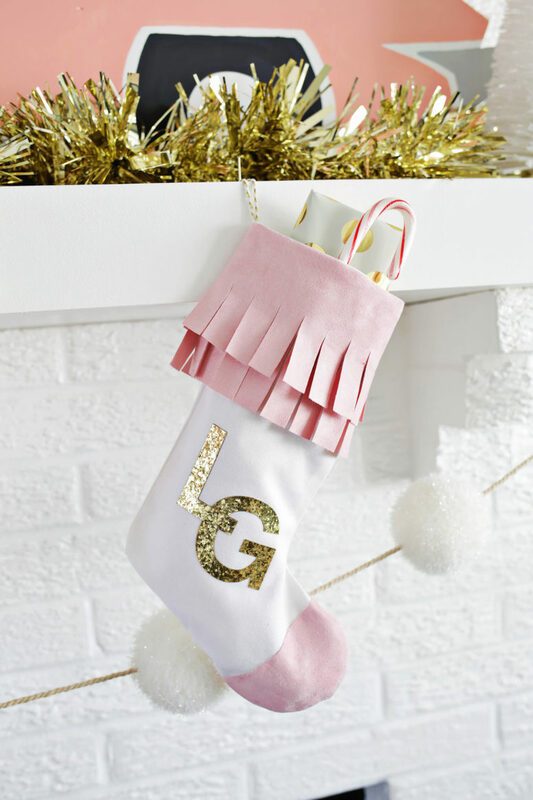 This stocking is made of creamy velvet and glitter and looks very refined. There’s a star monogram ornament attached but you may skip this step or add the ornament that fits your own decor. If you’ve chosen rustic style for Christmas decor, make these simple burlap stockings with white fabric and add pinecones and berries to them if you want – or just leave them as they are. 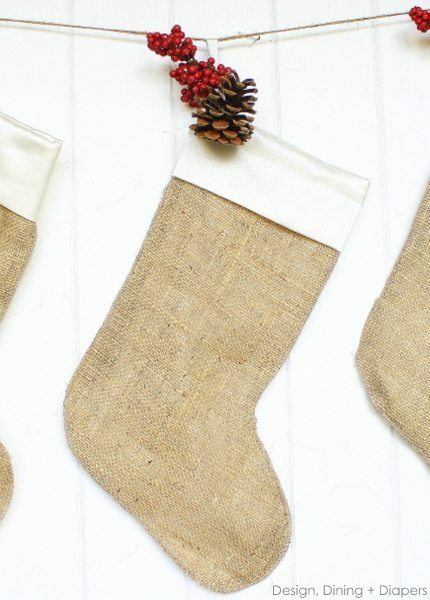 These burlap stockings can be turned into a garland to decorate your mantel or tree. Like glam? 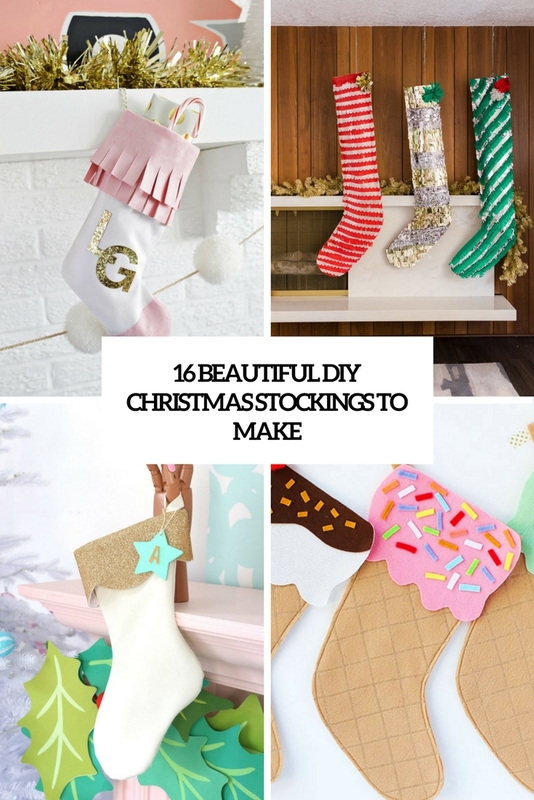 It’s high time to make your stockings in glam style! These ones are made of faux suede in pink, white and gold monograms, fringe makes them fun and the color combo is a cute and glam one. Add gold pompoms to the stockings and enjoy! Here’s another rustic-styled idea, which is more difficult to make than burlap pieces but looks cute and nice. 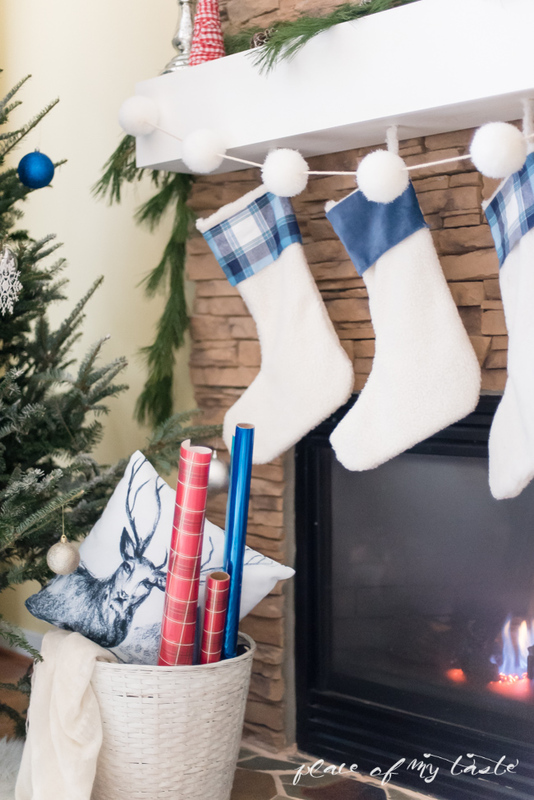 These are plaid stockings with snowflakes – they will take some time to make but the result is very cute and cozy! Use any colors and combos of plaid that you like. Buy some simple Christmas stockings and decorate them in a colorful way, for example, with rainbows! 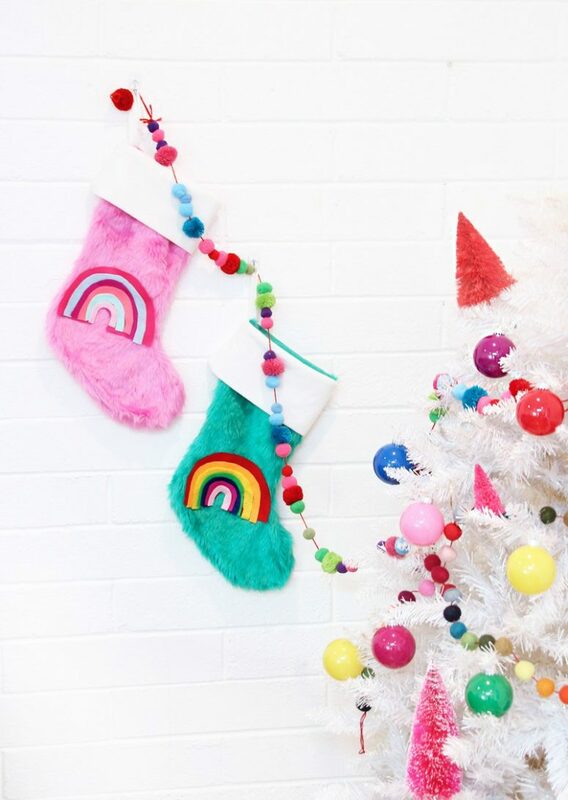 These stockings are made of colorful faux fur and decorated with colorful felt rainbows – what a chic idea to add a touch of color to your space! Add a touch of whimsy to your home with ice cream cone stockings, yes, it’s not a joke – these are colorful ice cream cones! 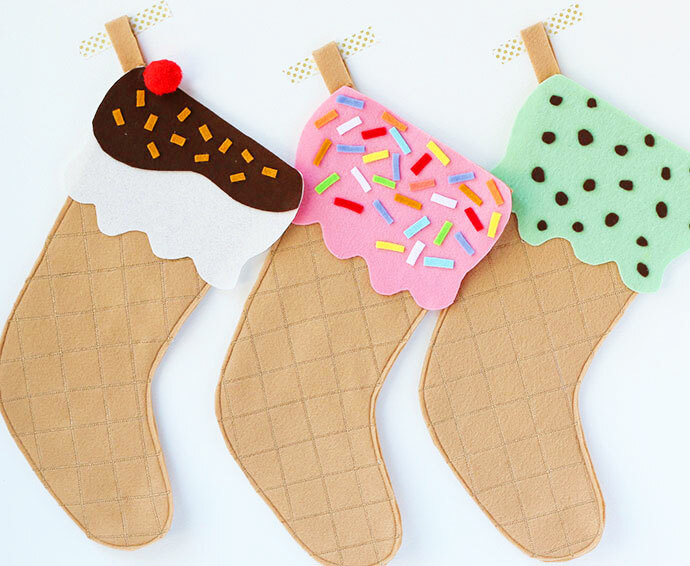 Realize your favorite ice cream and sandae ideas with these colorful and fun stockings, and both kids and adults will be amazed by them. If you want something really special, make these mixed print fur stockings. Here you will see lots of different fabrics including faux fur, and actually you can use all kinds of fabric you like mixing colors and prints that you enjoy. Make them super whimsy and enjoy! 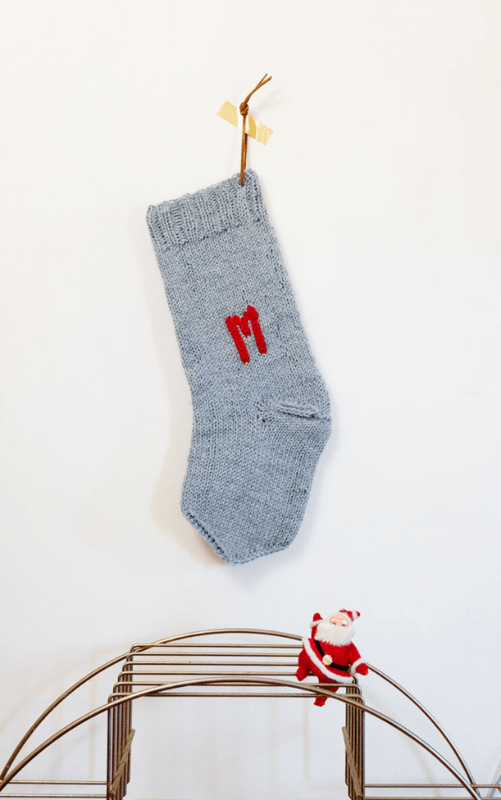 These simple modern grey monogram stockings are for those who are good at knitting. You may leave them as they are or decorate with faux fur, lace, ornaments, evergreens or something else that you like. The colors are also up to you, here you’ll see grey and red. 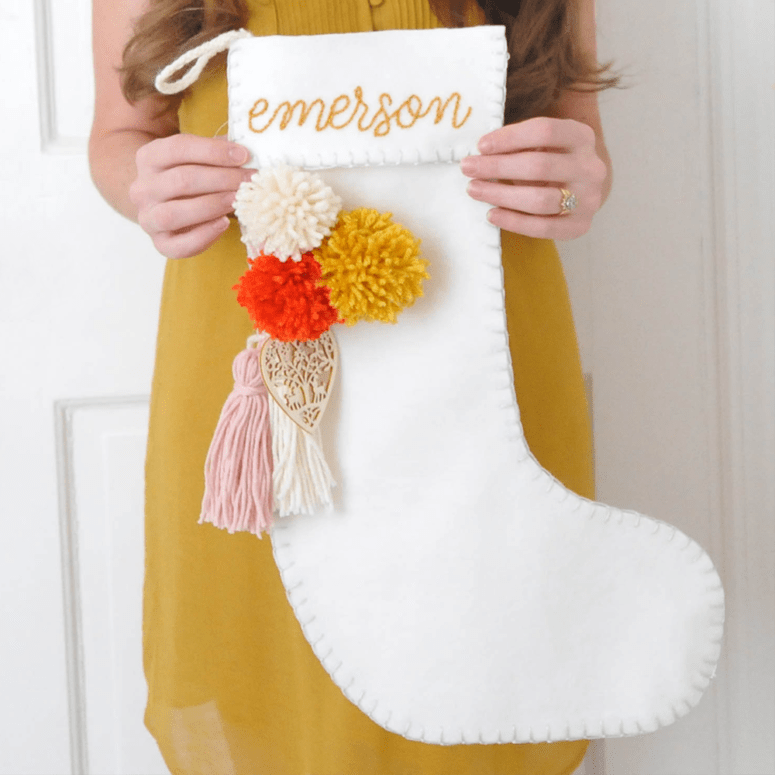 Make simple white felt stockings sewing them very fast and decorate them with colorful pompoms and hangings that you like. You may add ornaments, pinecones, evergreens and other stuff you like – simple white felt will be a nice backdrop for anything you want to add. These elegant dark green and burgundy stockings with embellishments will take some time to make but they are worth it! Decorate them with floral prints, quilted Christmas trees, beads, tassels and other stuff like that to make the stockings amazing.